Winter is on its way, and that means that cold days and nights will be upon us soon. That can be great if you like to get outdoors during the winter for skiing or snowmobiling around Brainerd MN, but it can be hard if you don’t have the right winter clothes to keep you warm. Too many kids in our area don’t have the right gear to enjoy being outside this winter, but with Fight the Freeze at Kimber Creek Ford we are trying to change that. What is Fight the Freeze? During October 2018, Kimber Creek Ford will be buying and donating snow pants, boots, and gloves for students in need at our schools with every new Ford vehicle sold. We wanted to get started in October so that when the brutal cold of winter rolls around in November and December our local students will be prepared. 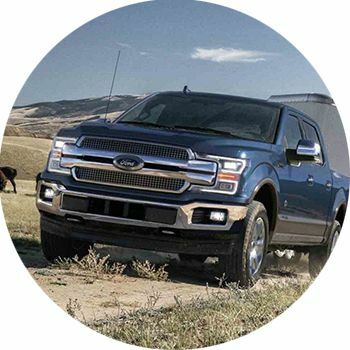 If you are in the market for a new vehicle, and already in love with the Ford brand, this October is a great time to stop by our dealership in Pine River MN and check out what we have in stock. Our new Ford inventory includes plenty of trucks and SUVs, as well as a limited number of Fiesta, Fusion, and Taurus sedans. You can also find the Transit vans for your commercial needs and the performance-oriented Mustang as well. Check out what we have below and schedule your test drive today. Buying a new Ford is always a great idea, but this October you can also help a student in need stay warm. Fight the Freeze by stopping by Kimber Creek Ford, 2654 State Highway 371 in Pine River MN today. You can also give us a call at 218-818-4419. This entry was posted on Thursday, October 4th, 2018 at 10:47 am	and is filed under Community & Events, Dealership Information, Ford Information, Sale. You can follow any responses to this entry through the RSS 2.0 feed. You can skip to the end and leave a response. Pinging is currently not allowed.